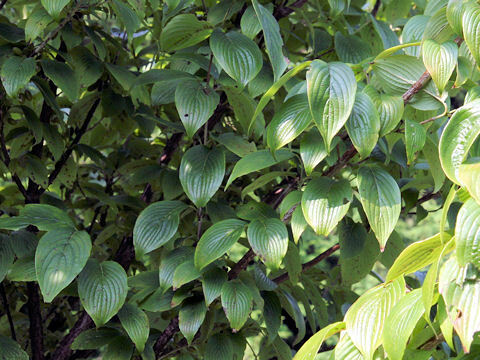 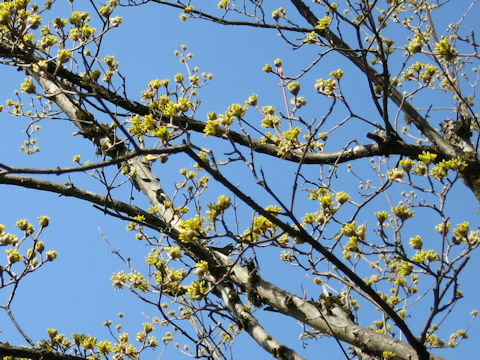 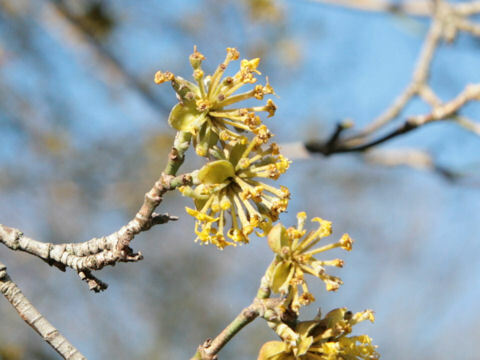 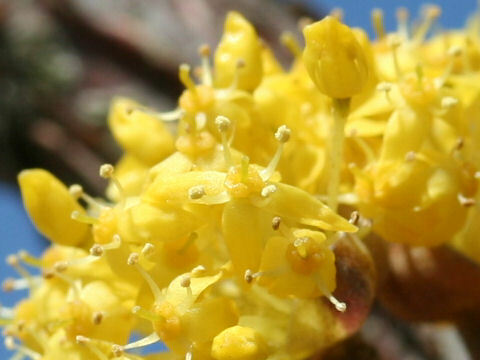 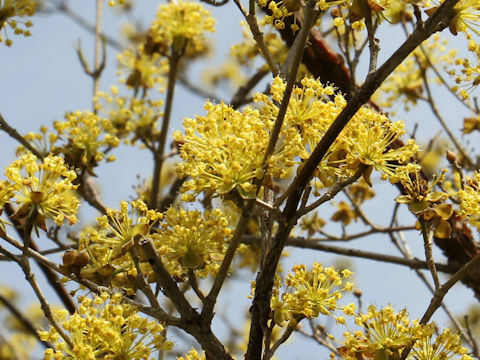 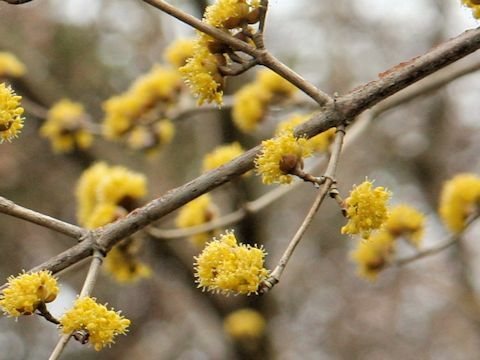 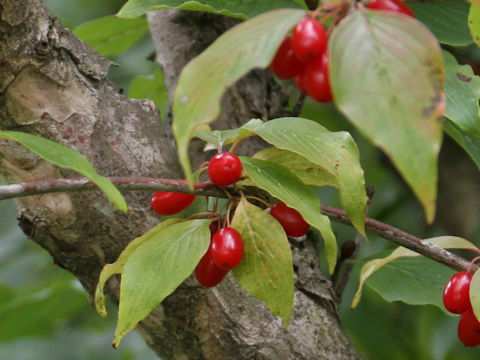 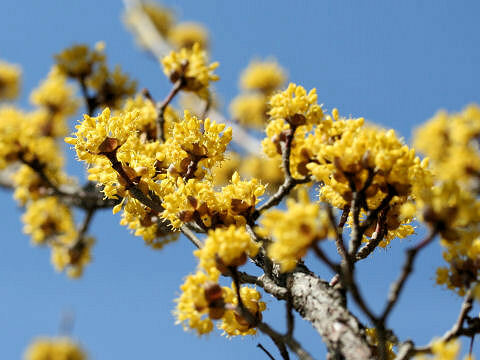 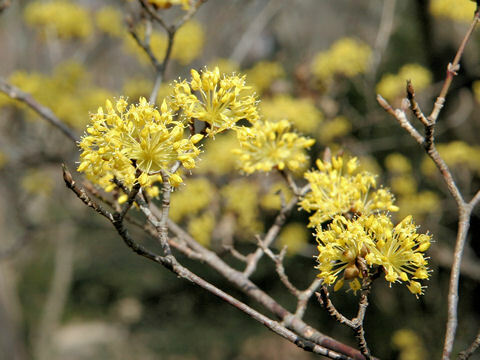 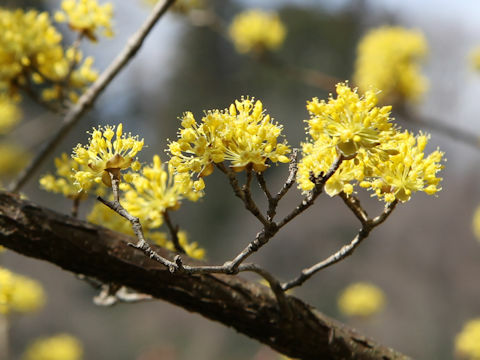 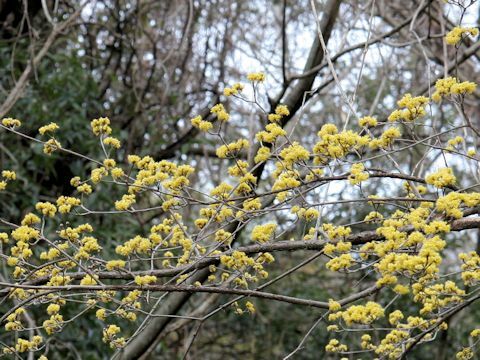 Shan zhu yu (Cornus officinalis) belongs to the Cornaceae (the Dogwood family). 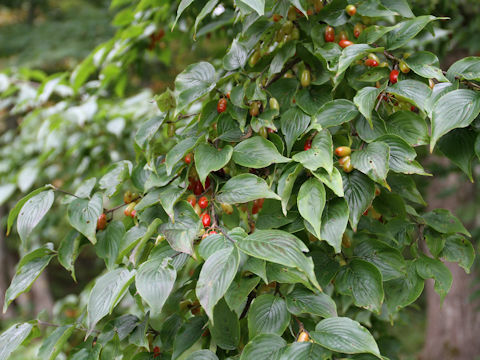 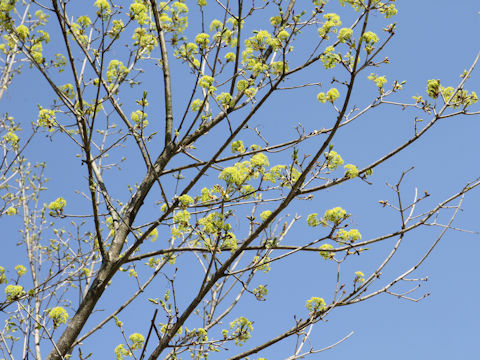 It is a semi-tall deciduous tree that is native to the Korean Peninsula and China. 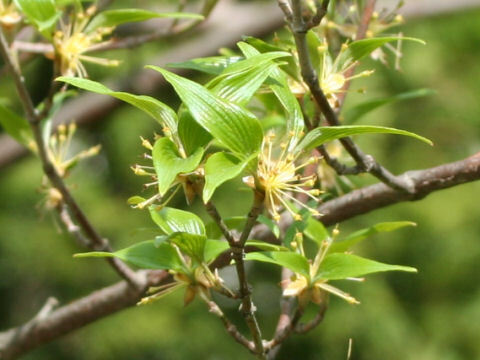 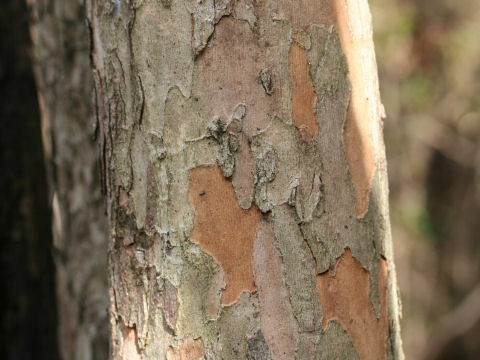 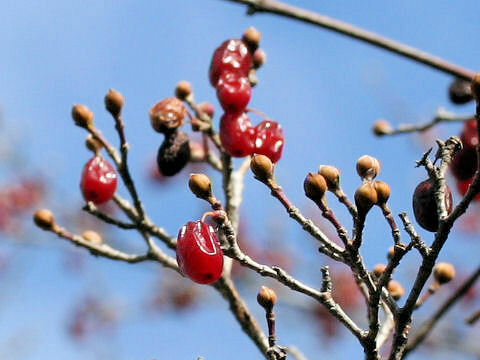 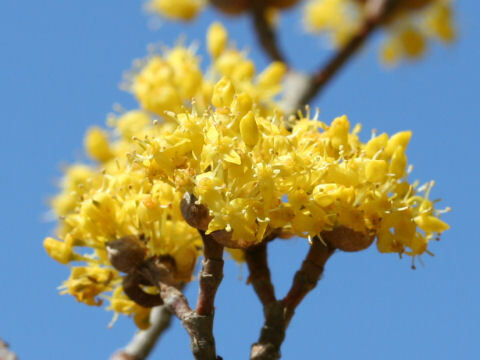 This tree was introduced into Japan for using as a medicine in the medium-term of Edo Era (about 250 years ago). 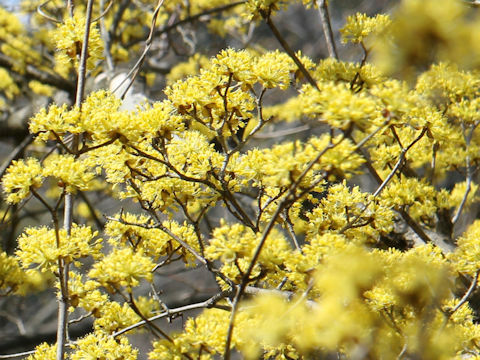 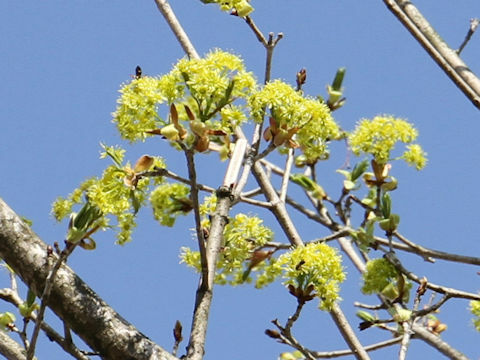 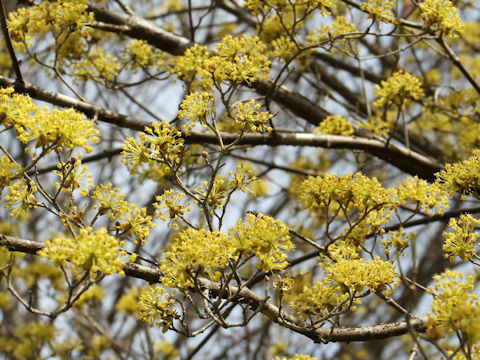 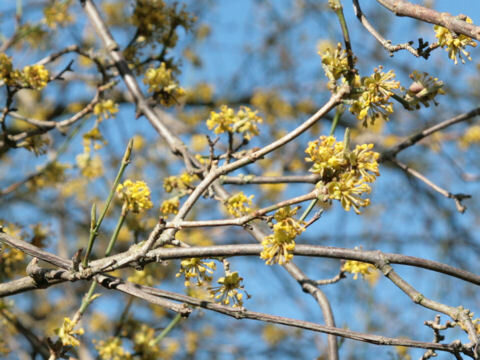 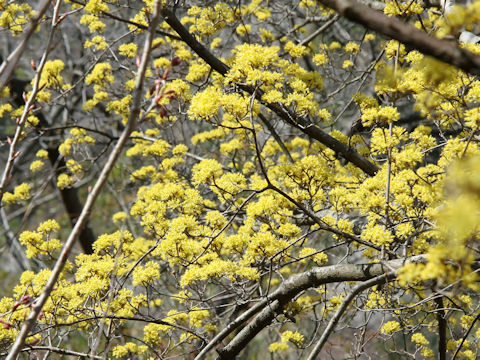 The small yellow flowers in the terminal umbels come in March to April. 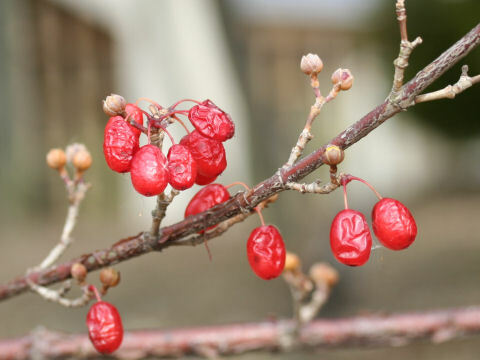 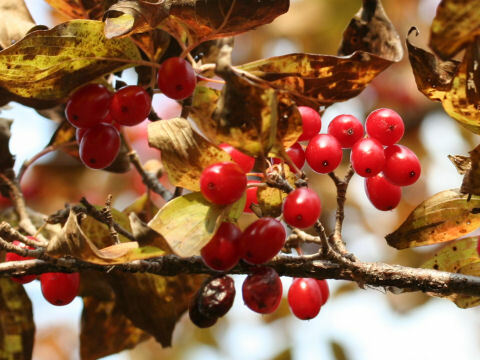 The fruits are elliptic and ripen red in fall. 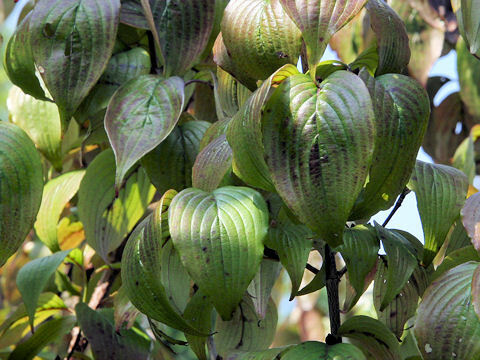 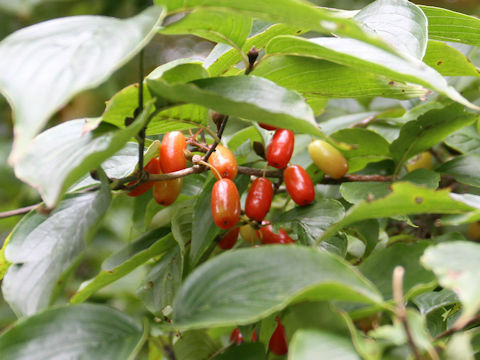 The fruits are used for herbal medicine.